Henry Edward Jones, 85, of Houston, Texas, passed from this life into his heavenly home on February 1, 2019. Known to family and friends as Ed, and professionally as Henry he was born on February 4, 1933 in Lauderdale County, Alabama to parents, Willie Edward Jones and Delta (Turpin) Jones. He graduated from Central High School in Florence, Alabama in 1952. 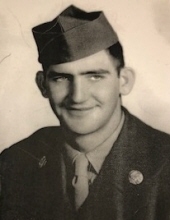 He served two years with the United States Army before opening and operating Ed’s restaurant on the corner of West Tuscaloosa and Pine Street in Florence, which employed car hops in the late 50’s and early 60’s before later moving to Houston. He was a Merchant Marine until retirement and served as the Bosun on large grain and container ships traveling the world. He was married to his high school sweetheart, Alma Jean Jones on May 3, 1952 who preceded him in death on June 21, 2018 after 66 years of marriage. He was a kind, caring, gentle man with a huge heart that he so often tried to hide, who always championed the underdog as he so often felt he was. He was a father and grandfather (PawPaw) that will be greatly missed. He loved his Chihuahua Baby Doe, helping Sandra bottle feed foster kittens for her local animal shelter, country music, playing Domino’s and Bingo along with watching sports (Houston Texans, Dallas Cowboys and his beloved University of Alabama Crimson Tide) along with the Houston Astros. He is preceded in death by his beloved wife Alma “Jean” Jones, his parents, by 3 brothers Hershal Jones, Kenneth Jones and Charles Jones all of Florence, Alabama. He is survived by his daughter, Sandra Flarity and husband, Wes Flarity of Richmond, Texas; grandchildren, Alicia Flarity of Houston and Patrick Flarity of College Station; by his brother Ralph Jones of Florence, Alabama, his sister-in law Ann Stahl and husband Robert Stahl of Houston; as well as by numerous nieces, nephews, other family and friends. Interment will follow in San Jacinto Memorial Park Cemetery under the direction of Carter-Conley Funeral Home. The Rev. Daniel Haas will preside over the services. Thank you to each of her caregivers: the staff at The Delaney Senior Living Community and the staff and caregivers at The Legacy Senior Living Community of Richmond along with Fairmont Hospice. Memorials may be made to Rosenberg Animal Control & Shelter (1207 Blume Road, Rosenberg, TX 77471), The American Heart Association. Daddy, you are finally reunited with my mother and finally surrounded by total peace and calm seas. We love you both and will forever miss you both until we meet again. Keep that smile and twinkle in your eyes. To send flowers or a remembrance gift to the family of Henry Edward Jones, please visit our Tribute Store. "Email Address" would like to share the life celebration of Henry Edward Jones. Click on the "link" to go to share a favorite memory or leave a condolence message for the family.